DALLAS – DePaul dug themselves a hole that they just couldn’t climb out of Thursday night, as they lost their season opener 2-1 against the SMU Mustangs in the first ever meeting between both programs. 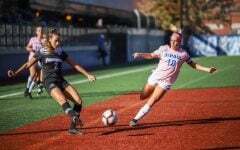 SMU junior forward Allie Thornton took advantage of the Blue Demons’ defense early in the match en route to scoring both of the Mustangs’ goals within the first sixteen minutes of the game. 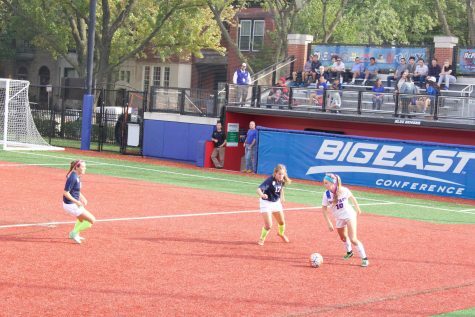 Thornton’s first goal sailed through the net in the ninth minute after deflecting off the shin of the Blue Demons’ freshman goalkeeper Mollie Eriksson. 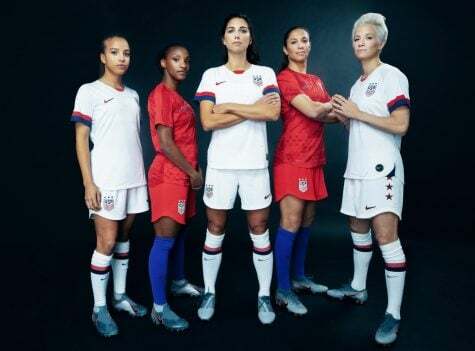 Thornton’s second goal came just seven minutes later off of a penalty kick that was kicked in the upper left corner of the net. 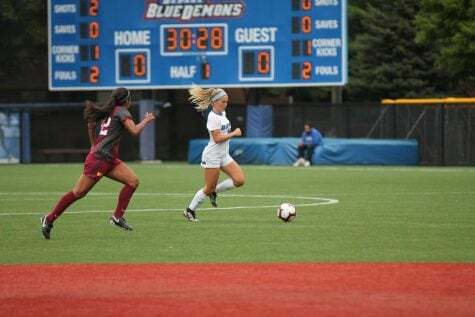 In a tale of two defensive halves for the Blue Demons, the Mustangs kept the Blue Demons on their heels in the first half by spreading the ball throughout the midfield. The Mustangs outshot the Blue Demons by a 7-2 margin in the first half. Eriksson found herself out of position on many of the Mustangs’ shot attempts at the beginning of the game. She finished the game with three total saves. 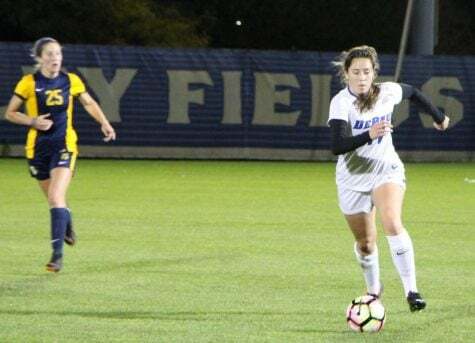 SMU midfielders Celiana Torres and Katia Tsapos didn’t back down or give any breathing room to both senior forward Franny Cerny, who was unanimously named to the 2018 Preseason All-Big East Team, and senior midfielder Madeline Frick. Frick scored the only goal for the Blue Demons in the 86th minute. 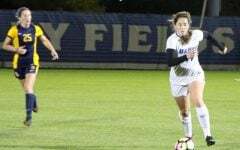 Thornton credited the Mustangs’ collective communication as a factor to keeping the Blue Demons scoreless for 86 consecutive minutes. 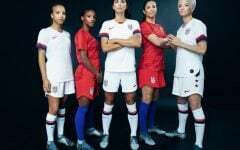 Two players that read their opposing teammates well were both of the Mustangs’ goalkeepers in Catie Brown and Samantha Estrada. Brown, a senior, started the match and collected two saves. 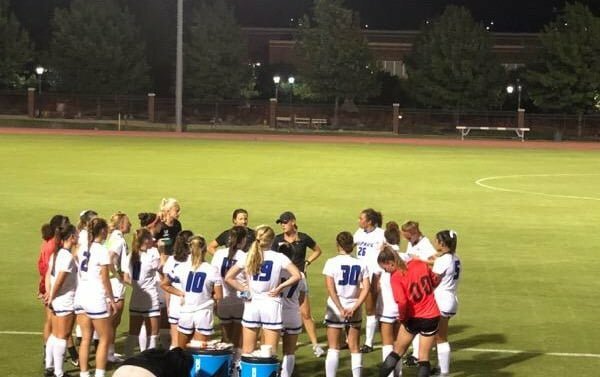 Despite Brown having a fairly steady first half, SMU head coach Chris Petrucelli dug into his depth chart in the second half and designated the freshman goalkeeper Estrada to handle business. Estrada stepped up big time for the Mustangs. 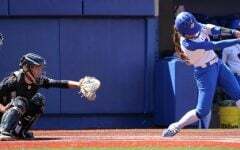 Not only did Estrada get four saves, Estrada also showed good quickness and made numerous hustle plays that sometimes involved making diving plays at the top of the penalty box. Estrada’s defensive efforts gave the Mustangs the edge in which they needed to fend off the Blue Demons in the second half. The Blue Demons outshot the Mustangs 6-3 during that time. 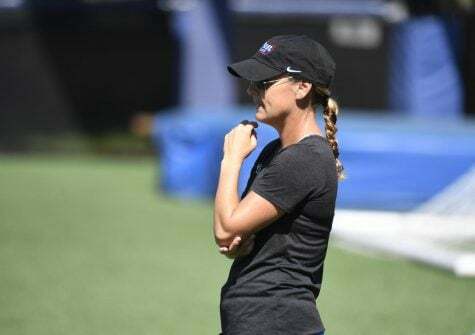 Even though the Blue Demons did not come out victorious in Texas, Petrucelli indicated that DePaul is not a team in which future opponents should take lightly. 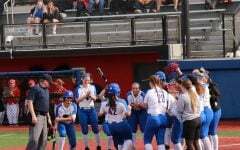 On Sunday afternoon the Blue Demons will begin a two game home stand at Wish Field. 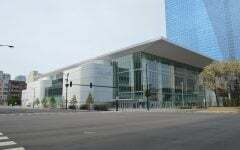 They’ll first play host to the UMASS-Lowell River Hawks before the Illinois Fighting Illini come to Chicago on Aug. 23. 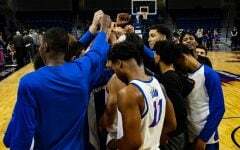 The DePaulia was not able to speak with DePaul coaches and players due to timing following the game, as it was a road game.